For the longest time our gaming collection would sit on the self gathering dust. We would only play these great games when other people were around. It felt like such a shame to let these games go to waste. 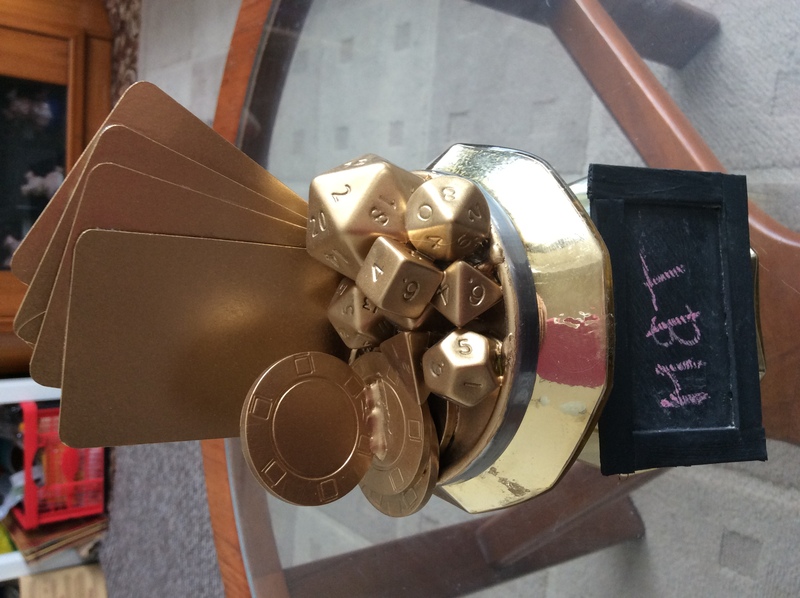 So I (Tammy) came up with a cunning plan – why not make a funky trophy to be awarded to the person that wins the most at the end of a month? Found image from a Google search – sorry! For some reason I ended up with some of the most ugly candle holders from Ikea you have ever seen. They happen to be designer and hand made, but still, I hate them. I think I had some plan to take the top off and use them as dice containers, but they just broke. We play 4 different games, Tammy picks two games she would like to play, Mike picks two games he would like to play, in advance before the month starts. We play these 4 games for times each in a month – total 16 games played. Wins when we play with other people do not count. 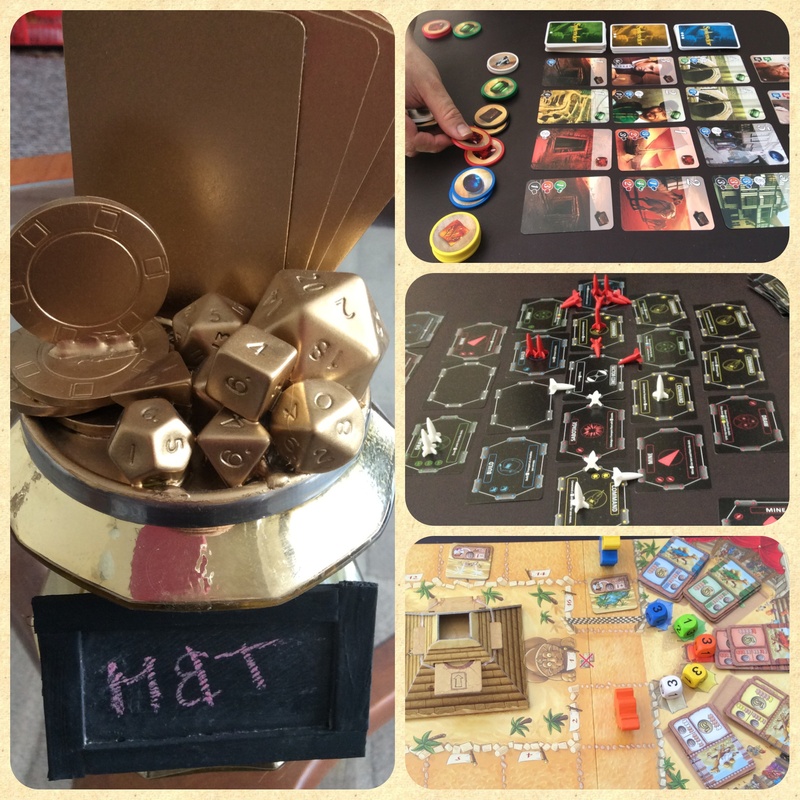 Co-op games can be played – but do not count towards the trophy. So what happened this month, August 2015? So we drew this month, no sudden death matches, we share the glory. We are a happily married couple after all. So come back and check out who wins next month, we will keep you posted!